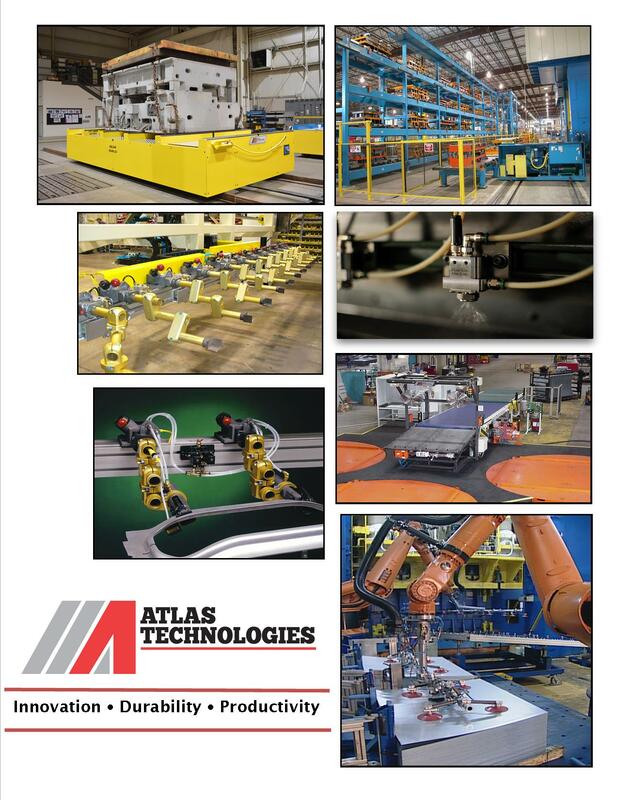 The Atlas Transfer Cart was developed to dramatically reduce the material handling requirements of cranes and fork trucks while providing quick, safe and smooth movement of materials and/or products through manufacturing facilities. 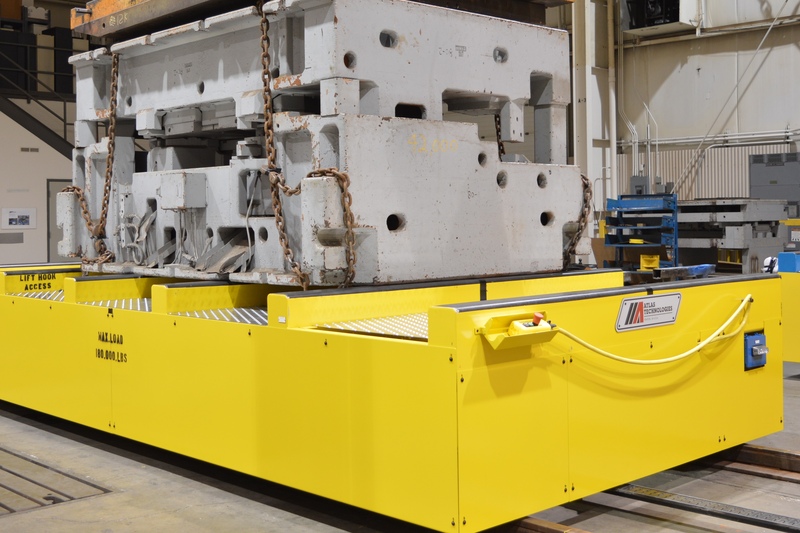 Transfer Cart construction is based on our world renowned die carts and provides controlled movement of heavy and oversized loads such as dies, coils and work in progress. Atlas Transfer Carts are available in a number of configurations specifically designed to suit the needs of our customers. Die & Material Transfer Cart : This is Atlas’ most popular cart. It is used to move dies or materials between the pressroom and the die storage and maintenance area. This transfer cart has the advantage of moving the entire length of the manufacturing facility, while dies that are moved by cranes are limited to the distance of the crane travel. Coil & Specialized Material Transfer Cart: This cart is similar in construction to our die transfer cart but is ultimately designed with fixtures to accommodate the customers exact needs. Designed to transport material from the storage bay to operations, eliminating the use of cranes and fork lifts, therefore reducing the risk of damage to the coils. Work in Progress Transfer Cart: This type of cart is ideal for moving excessively large items from one process center to another primarily used in heavy equipment industries. Other industries that benefit from this cart design are agricultural, wind turbine, and defense to name a few. Trackless, Non-Guided & Steerable Transfer Cart: The Atlas Trackless cart is ideal for moving materials, dies, coils or works in progress throughout a manufacturing facility without limitations from track length and distance. Our standard heavy-duty design is controlled by a hand held joy stick with all wheel steering and small turning radius.